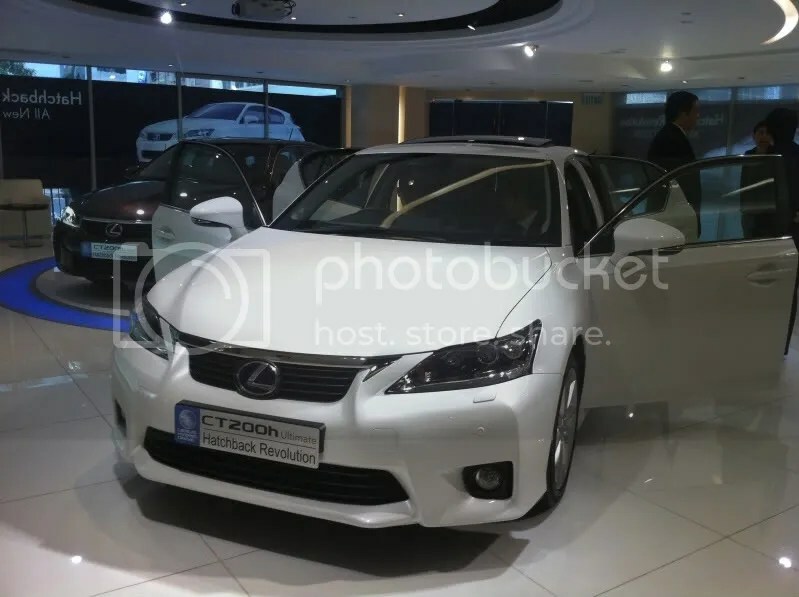 One of our newest members on Club Lexus by the name of “Yamanote” has recently shared some new photos and information regarding the Lexus CT 200h and its arrival in Hong Kong. He was able to share with us some facts regarding option packages and pricing. The CT in HK gets three different packages: Luxury, F-Sport and Ultimate. Luxury is the bare-bones model with standard cloth seating, 16″ wheels, no front fog lamps and is priced at $364,860 HK (approx $46,946 US), F-Sport is basically a mid line package with a host of luxury appointment and the factory F-Sport treatment. F-Sport front fascia, fender badging, special stitched steering wheel, the 17″ graphite F-Sport package wheel (not to be confused with the 17″ F-Sport USA accessory wheel), front grille, aluminum scuff plates and pedals and, of course, the F-Sport factory-tuned suspension. Pricing for the F-Sport model is $432,840 HK (approx $55,693 US). Finally, you have the Ultimate which tops at $455,550 HK (approx $58,615 US) and has pretty much every feature available for the CT packaged into one. As in the US CT 200h, Mark Levinson audio is M.I.A. throughout. Like in Europe, its a good thing to own a small car in Hong Kong, especially when parking is tight and the roadways are limited in space. Since owning a CT will be environmentally friendly, a $50,000 HK tax incentive is awarded by the government. Considering Hong Kong’s proximity to Japan, it appears they get the coveted goods we would like to have in the United States. I’m sure it will only be a matter of time before we get the CT F-Sport and the Cerulean Blue exterior on our version. HK and the other markets seem to get all the goods, but at a premium. We in the United States may not get all their options, but we do have the best bang for the buck. For starters, the CT Luxury (HK) only comes in cloth interior, 16″ wheels and NO front fog lamps, whereas we in the US get an exclusive NuLuxe interior, 17″ wheels, front fog lamps all standard. We can pick and choose certain options for our CT where as in HK you are limited to three. Also our basic CT starts at only $29,120. Translate that into foreign currency and its obvious that our CT is a steal! 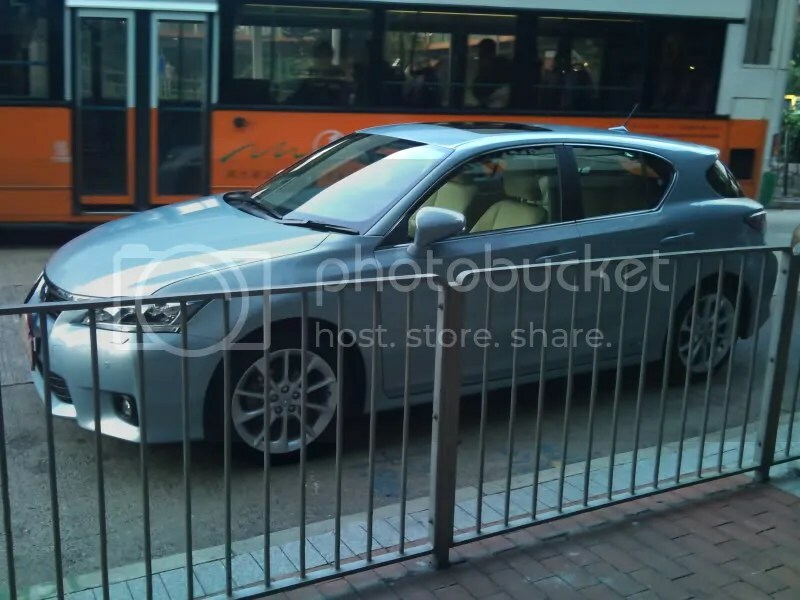 More here on the CL discussion: CT200h now in Hong Kong!